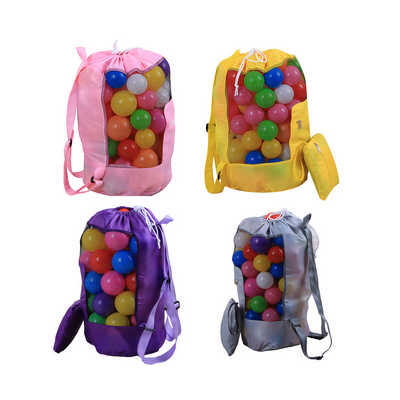 The personalized Foldable Mesh Drawstring Backpack is designed with a top drawstring closure, which is the best option to tote to the beach, park, pool, game and much more. It can be folded into a compact size, and both the front and back areas can be printed with your logo. Manufactured with Nylon material, Its definitely a great environmentally friendly alternative to your normal bags. Material - 210D Nylon Colours - Nylon: Red, Blue, Black, Green, Pink, Purple, Yellow, Orange, Black, Other colours: Over 50+ colours. Mesh: available in over 100 colours. Please contact us for more information Product size - Unfolded: 45 x 27 x 37cm Folded: 15 x 15cm Print size - Unfolded: (front) 10 x 5 cm Folded: Front: 10 x 5 cm Back: 10 x 10 cm. Price includes : 4wk 1 col/pos print. Setup is included.